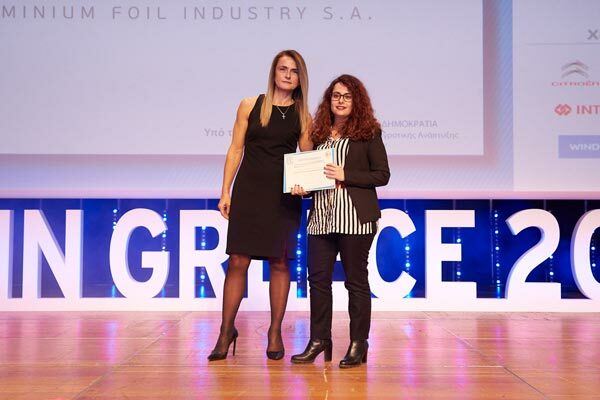 Symetal received a distinction during the Made in Greece Awards 2017 in the “Export Excellence in Industrial Product” category for its product “Foil for pharmaceutical packaging”. The award ceremony took place on Monday, 11th December 2017, at the Athens Concert Hall and was attended by politicians, entrepreneurs, business executives and the press. Symetal’s distinction comes as an acknowledgement of the Company’s export activity in more than 60 countries in Europe, America, the Middle East, Africa, Asia and Australia and as a reward of its dynamic commercial policy, focused on expanding into markets where demand is particularly attractive. 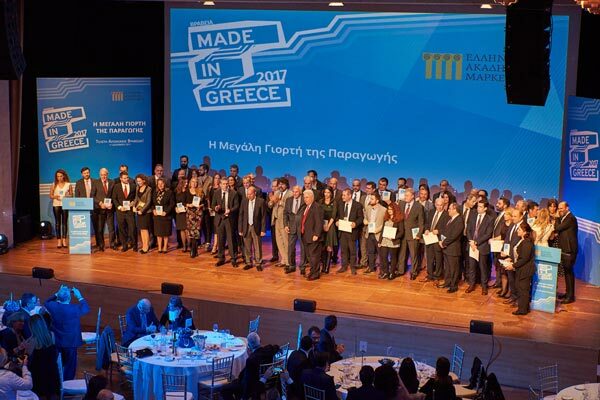 The event was organized by the Greek Marketing Academy aiming to recognize and reward Greek companies with outstanding performance in the creation and distribution of products with added-value for the Greek economy. The evaluation was based on criteria such as quality, innovation, differentiation, market targeting, international distribution networks and strong branding.